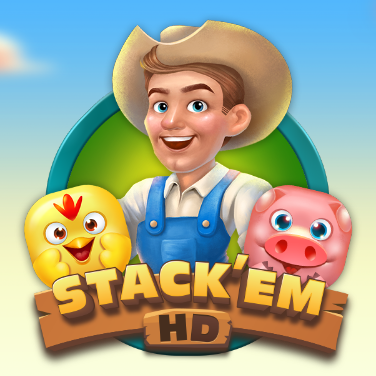 The new Stack 'em HD will be released sometime today. When it's live, you should be able to access it from the link below. I like the game, graphics are improved. Progress on this game is slow and not so steady. I am able to run my auto for about 6 to 8 hours without refreshing. Been getting 27.5 rank points per hour running on Medium Difficulty. It appears you get 1 rank point on Easy, 2 rank points on Medium and 4 rank points on Hard. But if you don't win...oops NO rank points. I'll get us some stats on Hard level. Ok...off to the Boxed Wine...heck it is only $11.97 + tax at Walmart. Update on Hard Difficulty...was able to average a little over 30 rank points per hour. So, I suggest playing on Hard. BTW...Up to rank 43. Thank you for this great detailed information. And that price for the wine sounds great. I am able to run my auto for about 6 to 8 hours without refreshing. Been getting 27.5 rank points per hour running on Medium Difficulty. It appears you get 1 rank point on Easy, 2 rank points on Medium and 4 rank points on Hard. But if you don't win...oops NO rank points. Thanks for the info. After 5 days of no internet connection I am so ready to try the new game. Glad to read you have your internet back. Kind of sad it took them so long. I think I would go through bad withdrawal. Need an intervention. The PB auto is playing beautifully and the game isn't bogging down my system. HALLELUJAH! Yeah, it plays great here as well. I wonder which game will be converted next? I'm assuming they will give us the poll results on Tuesday. Yes, PB auto is playing very good. Averaged over 38 Rank Points per hour (over an 8 hour period). My PB settings were set all the way to the right for the "strong" and Game was set to Medium. This is plenty good for me as the last 4 levels we will need 360 rank points per level.